What are you waiting for? Now is the perfect time! And on a side note, yesterday was my 2 year anniversary with WordPress. I can’t believe it’s been two years since I decided to start blogging. For those that have stuck with me – thank you! So last week at work my colleague and I were the only ones in and we had some music playing. We were being a bit silly, and when a Tiesto track came on we started Fist pumping along to the beat. I joked and said it could be “Fistpump Friday!” which then got me thinking, how about I start a regular post on a Friday about something which has got me excited, or which has made me happy that I’d love to share with you all – a bit of a virtual Fist pump! Then, over time, I would love share some of your “Friday fist pumps” so if there’s something you would like to tell the world about, that has left you super excited or left you feeling happy and wanting to fist pump PLEASE do let me know! 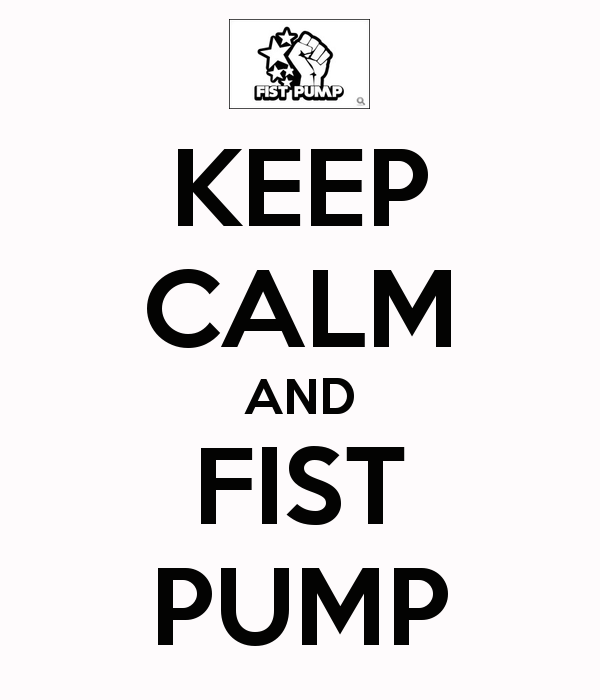 I’ll start the Friday fist pump’s off with a bit of a small one – today is my last day of work for 10 days as I have taken some leave. I am excited about getting to spend some time with friends, get away for a couple of days and have plenty of time to exercise too. I will also be finalising a couple of things for my 30 things for 30. Bring it on! Heard these talented sisters live on Triple J tonight… Their song Wolf made it into the Hottest 100 this year..but I’m a big fan of this track. Yep! I’m still here, I haven’t fallen off the face of the earth – although I have fallen a little off the wagon. Instead I’ve been focusing on one of my other loves. Music. This is by far my favourite time of year when it comes to music – it’s Soundwave time! And with each year the line ups just get more and more amazing. If you’re a lover of the more heavy alternative music scene then this is the music festival for you! But it’s not just the festival, it’s the number of sideshows that come along with it. Last Wednesday I headed out to see Blink-182, my favourite band whilst growing up – it’s been around 8 years since they have visited Australia and although Travis was unable to head down under, Brooks Wackerman did a fantastic job on the drums. I was very impressed. He added his own flare but brought it all together nicely – very tight. Sunday was the actual festival – always a MASSIVE day! And I saw numerous bands I haven’t been able to see before – the highlight of my day being Metallica. Yesterday I headed to another sidewave and saw Stonesour and Linkin Park. This I did, on my own! Something I have never done before! And I’m pleased to say I actually had a good time. It was a little odd but I had time to myself, to really drown myself in the music and to people watch. Going to a gig solo is something I’ve wanted to do this year and I think the next step will be a movie on my own. I’ve found that instead of missing out on something if I am unable to find someone to go with…just go myself! It’s not hard and life’s too short not too! I guess the main reason I’ve never done it is because I have always been quite concerned with what other people will think…well no more! This is the start of doing what I want to do and no regrets! Sadly…I now don’t have any more gigs coming up and I don’t think I will for quite some time. And I feel a little of the post-soundwave-hype blues. I guess it’s time to knuckle back down with the health and fitness (because yes, it took a bit of a back seat – treating myself to a meal out on Saturday night and then the not so healthy food choices on Sunday were not good for my 12WC…but back on the wagon now…and I’ll update you all more about the 12WC on Sunday. Until then – I’ll leave you with my all time favourite song – live from Soundwave in Brisbane…I wanted to post my own video from the Sidewave, however I can’t figure out how to do that. So this is the next best thing (and better quality than mine would be anyway!) Enjoy, none-the-less. There’s so much I want to say right now, but I have limited time so let’s see how I go. For those of you who don’t know, on the 26th of January each year, Australia commemorates the arrival of the First Fleet into Botany Bay, Sydney. 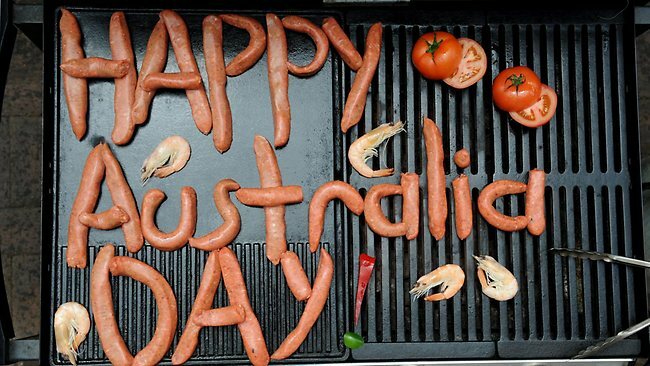 It is a public holiday (if on a weekend we have the following Monday off) for every state and territory in Australia and a day where utes, BBQ’s, Aussie flags, the colours green n gold, Pavlova, Vegemite, the boxing kangaroo and beer make an appearance everywhere. I did happen to spot a few akubra’s around the streets this morning too! I’m going to spice this post up a little bit … oh yes – check this out! No, seriously…let me get back on track here…. This is something I have struggled with for a long time….caring what other people think. And recently I decided that I would make this a goal of mine – to get to a point where I am proud of the clothes I wear and the music I listen to because that’s what makes me, well me! At this point in time…it’s a work in progress. But I’m pleased to say that I stopped skipping my iPod at the point when I started thinking “Yeah! Who cares what other people think? !” and I listened proudly to Eiffel 65’s “Move Your Body”. 30 Books – What am I currently reading? The mind is the limit. As long as the mind can envision the fact that you can do something, you can do it, as long as you really believe 100% - Arnold Schwarzenegger. Defining fitness to bring people of all backgrounds from beginner to novice, working with limited budgets, time and resources healthy information and motivation! The ramblings, dreams and clichés that are my life.